Former New Zealand batsman and national coach Mark Greatbatch is calling for New Zealand Cricket chairman Chris Moller to resign in the wake of the Ross Taylor captaincy saga. Greatbatch is adamant Moller's first move should be to resign, having presided over the captaincy fiasco which has seen Ross Taylor refuse to tour South Africa following his axing as national team skipper and subsequent fallout with coach Mike Hesson. "For me, the chairman of the board has been involved with too many underhand dealings in the last two or three years. I think it's time for him to move on," Stuff.co.nz quoted Greatbatch, as saying. 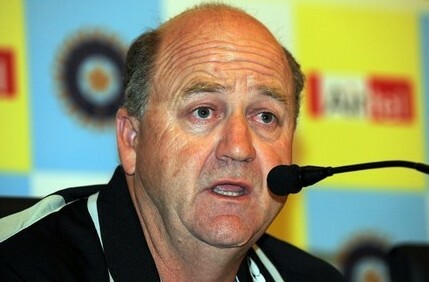 Since coming into the role, Moller has overseen the appointment of a coach (John Wright) who couldn't work with his director of cricket (John Buchanan), he has lost a chief executive (Justin Vaughan), and he has allowed a new coach to come in (Hesson), who after five months has forced the team's best batsman to miss the trip to South Africa. Greatbatch said NZC needed to be full of apologies and also had to look at the makeup of the board. "I think we need to apologise to a few people publicly, Ross Taylor would be one for a start, and I believe we probably need some more cricket knowledge on the board going forward," Greatbatch said.